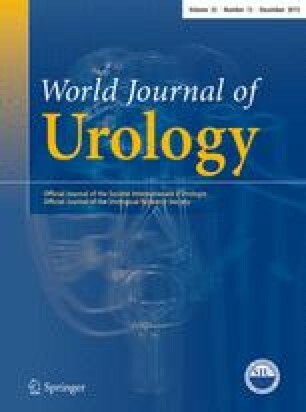 To compare ultra-mini PCNL (UMP) and flexible ureteroscopy (fURS) for the treatment of medium- to large-sized renal stones with a focus on patients’ postsurgical cumulative analgesic consumption and treatment-related satisfaction. Twenty-five patients treated by UMP between April 2013 and October 2014 were matched to data of 25 fURS patients from an existing database. Clinical outcome parameters were recorded prospectively. Postoperative analgesic consumption was assessed using the Cumulative Analgesic Consumption Score (CACS), and satisfaction was measured with the Freiburg Index of Patient Satisfaction (FIPS) questionnaire. Perioperative outcome parameters showed no significant differences except for mean operating times (fURS 98.52 min, UMP 130.12 min [p = 0.002]) and hospital stay (fURS 67.2 h, UMP 91.5 h [p = 0.04]). Primary stone-free rate was 96 % in fURS and 92 % in UMP. Complications Clavien grade 2 or 3 occurred in 16 % of UMP patients and in 4 % of fURS patients. Postsurgical cumulative analgesic consumption was almost identical in both groups with CACSs of 6.96 (0–15) for fURS and 6.8 (0–23) for UMP. Patients’ satisfaction was high in both techniques: FIPS score in fURS 1.67 (1–3) and 1.73 (1–4) in UMP (scale 1–6). Treatment of medium- to large-sized renal stones is safe and highly effective by both UMP and fURS. Moreover, both treatments yield comparable postsurgical analgesic requirements and high patient satisfaction scores. Patient-related factors (anatomical and stone related) and availability of technical equipment and surgical expertise appear to be the most important determining factors in treatment planning. The study received own institutional funding (University Medical Center Freiburg), and no external or industrial funding was received. Martin Schoenthaler is a consultant in contract with Schoelly GmbH, Denzlingen, Germany, and NeoTract Inc., Pleasanton, USA (not related to the manuscript). Arkadiusz Miernik is a consultant in contract with Schoelly GmbH, Denzlingen, Germany (not related to the manuscript). The other authors declare no conflicts of interest. The study has been approved by the local ethics committee and has therefore been performed in accordance with the ethical standards laid down in the 1964 Declaration of Helsinki and its later amendments. All participants gave their informed consent prior to their inclusion in the study. Number 504/14, Ethic committee University Medical Center Freiburg.